Sometimes our editors discover a property that is the perfect definition of an upscale hideaway. 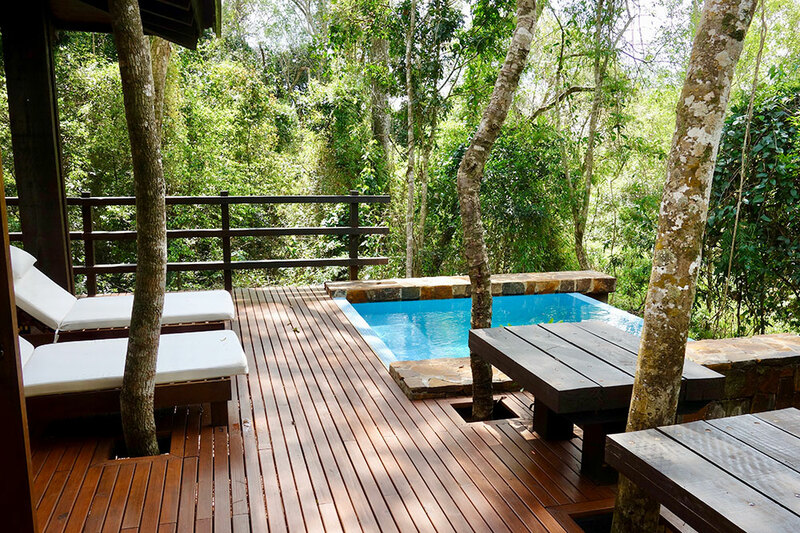 We found just that in a 14-villa resort a couple of hours from Buenos Aires, at the edge of a patch of rainforest. 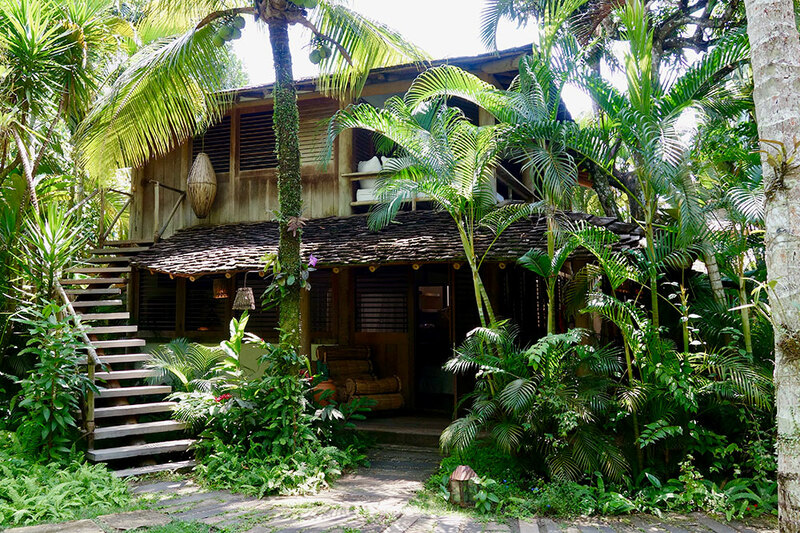 Two new hotels in Brazil came away with recommendations as well, including a rural retreat west of São Paulo and a blissful refuge on the tropical coast of Bahia. This tranquil 14-villa resort occupies a private and secluded 25-acre plot in a patch of rainforest outside the town of Puerto Iguazú. Set on a steep hillside, each secluded villa is separated from its nearest neighbor by at least 50 yards of vegetation and comes with a dedicated guide and vehicle. Most of the air-conditioned rooms have white wooden walls, private decks with plunge pools and high tented ceilings. The atmosphere is very similar to that of an upscale African safari lodge. Read more about Awasi Iguazú. 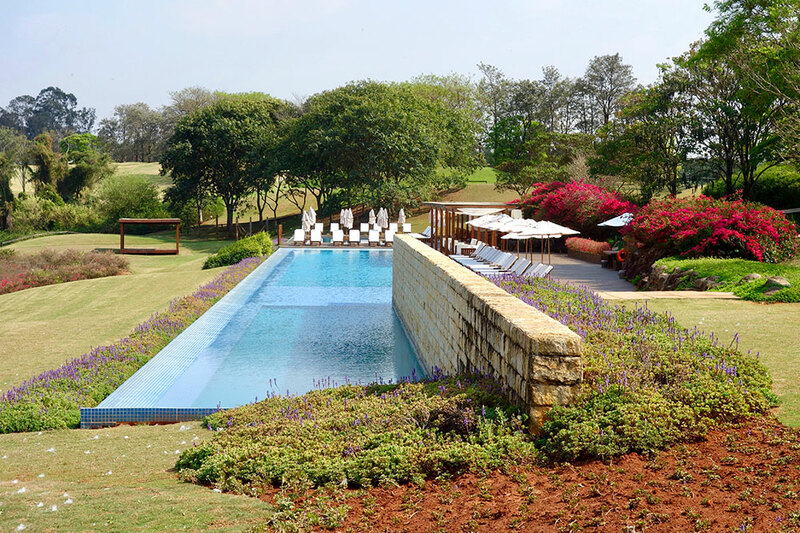 Two hours west of São Paulo is this rural retreat set on approximately 2,000 acres in peaceful countryside. The lobby comprises an enormous open-plan lounge with stylish modern furniture, colorful abstract paintings, grand central fireplaces and floor-to-ceiling windows overlooking a man-made lake. The indoor-outdoor restaurant serves well-prepared Italian comfort dishes with Brazilian inflections. Read more about Fasano Boa Vista. This tranquil hotel complex is made up of 11 traditional one- to three-bedroom houses set amid idyllic tropical gardens that opens onto the Quadrado in the languid seaside town of Trancoso. About half of the “casas” were restored by Wilbert Das (former creative director of Italian fashion brand Diesel) in collaboration with local artisans. The 990-square-foot Estúdio has wide-plank hardwood floors, a four-poster bed draped in mosquito netting, an antique writing desk, a small kitchen and an entire side that opens onto a private furnished patio. Read more about UXUA Casa Hotel.